The Art Song Preservation Society would like to congratulate First Place Winner Virginie Verrez, on a superb performance. Virginie will be featured in her own recital with accomplished piano collaborator Thomas Muraco at Opera America (330 Seventh Avenue, NYC). A native from France, mezzo-soprano Virginie Verrez has appeared in recitals in Paris, Baden bei Wien, in Vienna, and in Rheinbeck; and sang in Vivaldi's Dixit Dominus in Limoges. In 2013, Ms. Verrez performed at The Juilliard School the role of Beatrice in Wolf-Ferrari's Donne Curiose as well as the role of Zenobia in Handel's Radamisto. She also appeared in Juilliard's “Wednesdays at One” series in Alice Tully Hall and in the 2013 New York Festival of Song. She won The Lissner Charitable Fund of the 2013 Opera Index competition. The Pierre Bernac Prize was awarded to baritone Robert Brandt, and the Encouragement Award was given to baritone Elliott Hines. 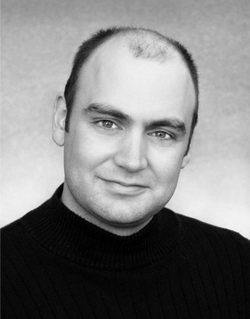 Baritone Robert Brandt has garnered attention for his performances on both the concert and operatic stages. Opera News praised his “innate musical honesty and simplicity” and “incredible clarity of diction”. His great love is researching, discovering, and performing Art Song. Recent song recitals include Schubert’s Winterreise with pianist Roger Vignoles, Mendelssohn and Schumann lieder at Mendelssohn’s former home in Leipzig, Germany, and an American song recital highlighting composers from Foster and Ives to Musto and Hoiby. Dr. Brandt is on the vocal faculty at the University of Delaware where he directs the graduate song literature curriculum. 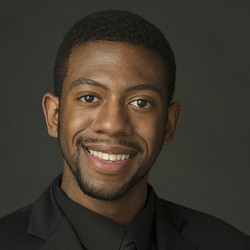 Baritone Elliott Carlton Hines is a second-year master of music student studying with Ms. Edith Wiens. Hines has performed as bass soloist in Bach’s St. Matthew Passion with Juilliard 415, as well the Duruflé Requiem and Mozart’s Coronation Mass with the Oberlin Musical Union. He has been presented in recital by the Rhinebeck Chamber Music Society, and recently performed the role of Farasmane in Handel’s Radamisto with Juilliard Opera. A native of Houston, Texas, Hines began his vocal training with Dr. Timothy Jones; and received his B.M. from Oberlin Conservatory, studying with Mr. Salva- tore Champagne. The Art Song Preservation Society would like to thank and congratulate the all of the singers who participated in this year's very tough competition. Your 2014 finalists will receive free admission into future ASPS workshops and master classes for the next year, and each will have the opportunity to work closely with master class guest artist on the ASPS Advisory Board.